11pm Carnival Dance with Orchestra Tropin and DJ Mario Bravo. 11pm Carnival dance with Orchestras Sabrosa and Guaracha, during which the winners of the costume contest will be announced. 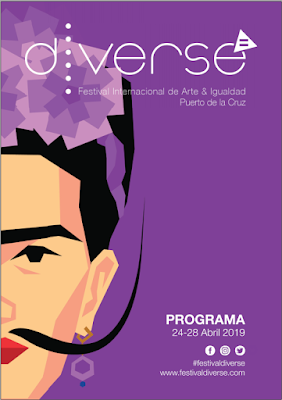 12pm Grand Carnival Parade with the participation of all the carnival groups; comparsas, floats with the carnival queens and her maids of honour, etc. Upon the procession's arrival in the square, dancing to the Orchestra Maraury. Carnival costumes will be on display in the Plaza Buganvilla in Los Gigantes on Monday, Tuesday and Wednesday, 5th to 7th March and from 4:30pm on Thursday, 8th March is the carnival afternoon of bouncy castles, workshops and musical performances for young children. The Burial of the Sardine and the Daytime Carnival events in Los Gigantes have been postponed until next weekend on Friday, 9th March and Saturday, 10th March, respectively. We'll update with the details of those next week. 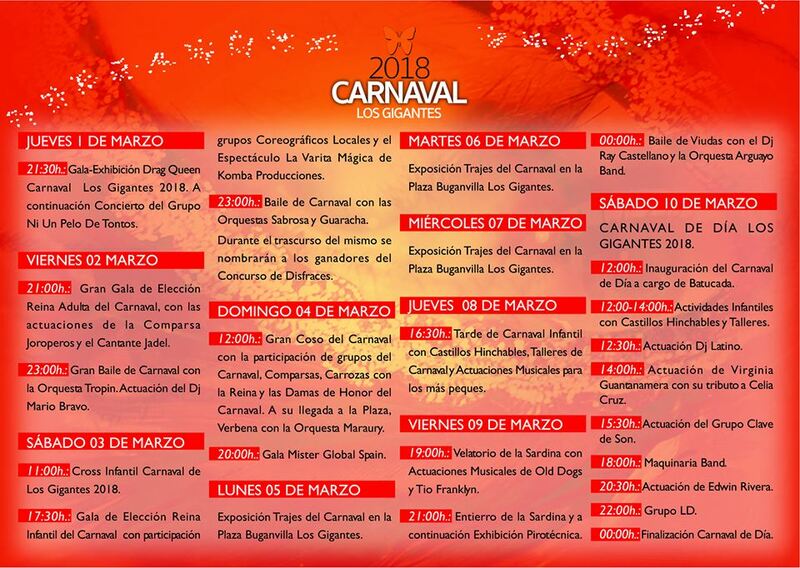 International Carnival Los Cristianos 2018 also begins today, Thursday, 1st March, with, amongst other events, the Carnival Opening Parade from 7:30pm on Saturday, 3rd March in Playa de Las Américas, from C.C. Gala, in the avda. Rafael Puig Lluvina, to C.C. Oasis, in the avda. Las Américas.